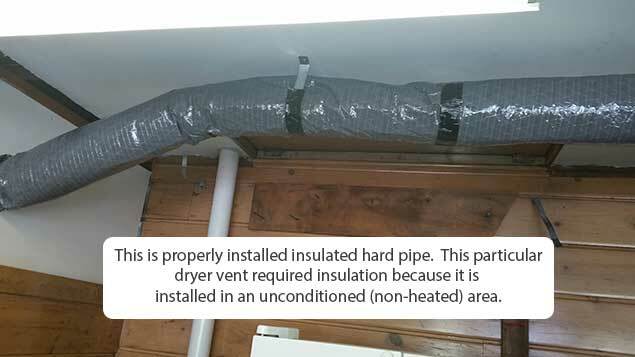 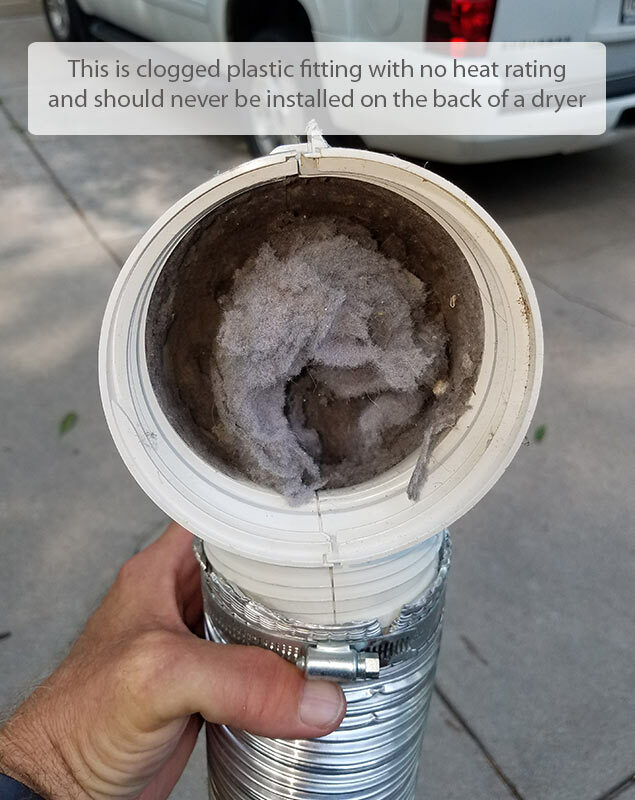 The Dryer Vent Dude is passionate about educating his clients on the importance of properly installed and maintained dryer vent systems. 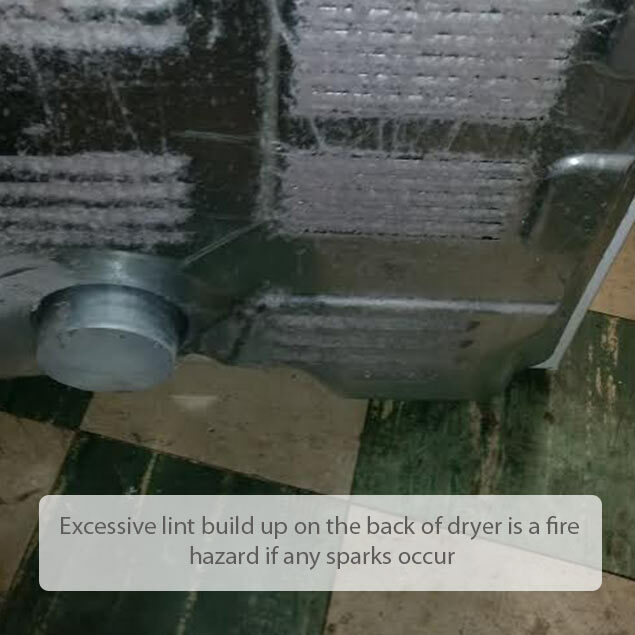 Having a properly functioning system will increase the life of your dryer, reduce electric bills and most importantly prevent property damage and loss of life due to fire. 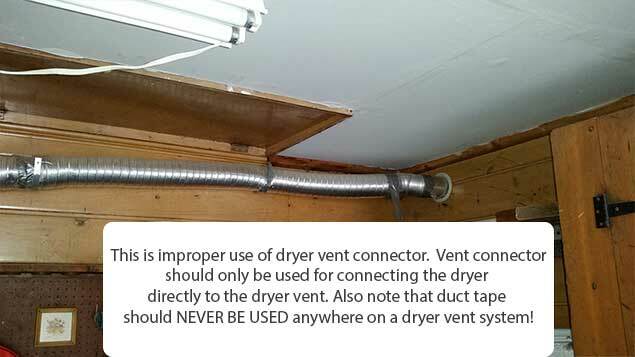 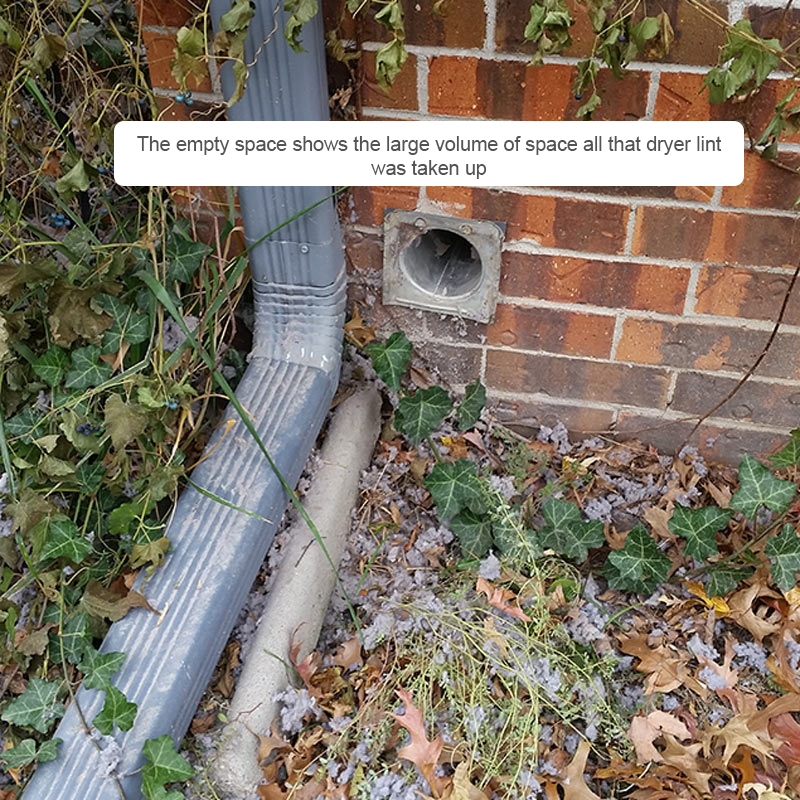 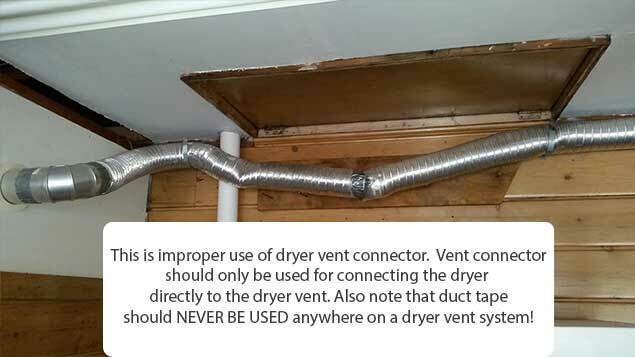 These galleries are here to illustrate the most common problems associated with dryer vent systems but does not represent them all. 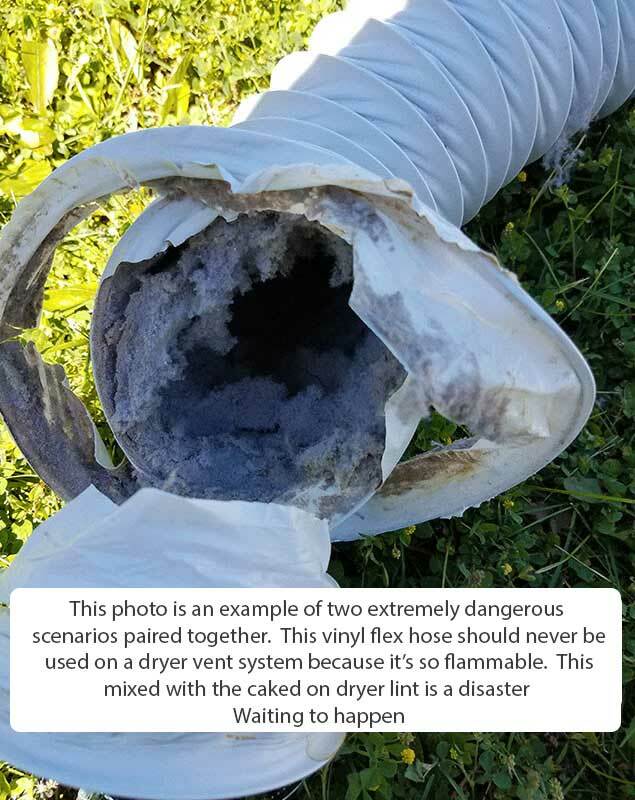 Please call with any questions or concerns relating to your dryer vents. 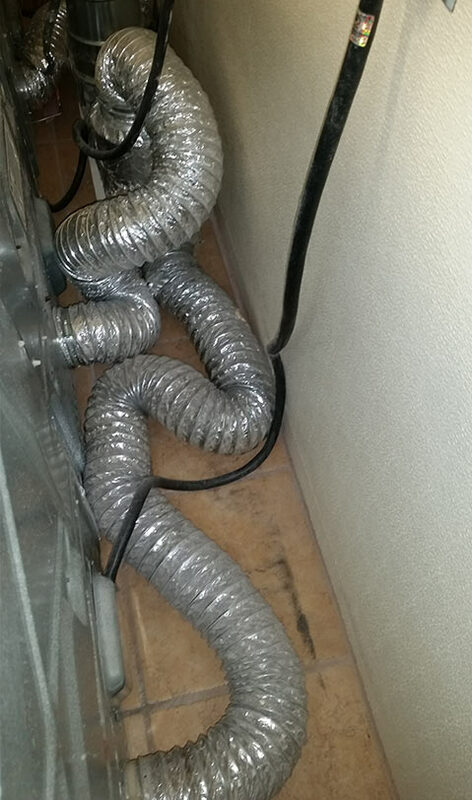 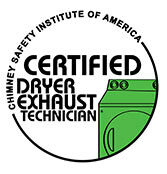 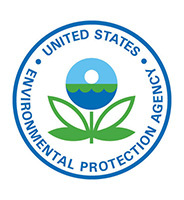 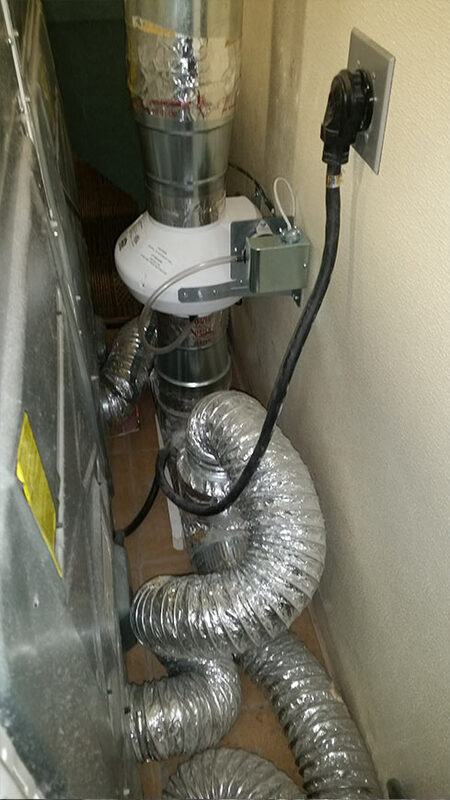 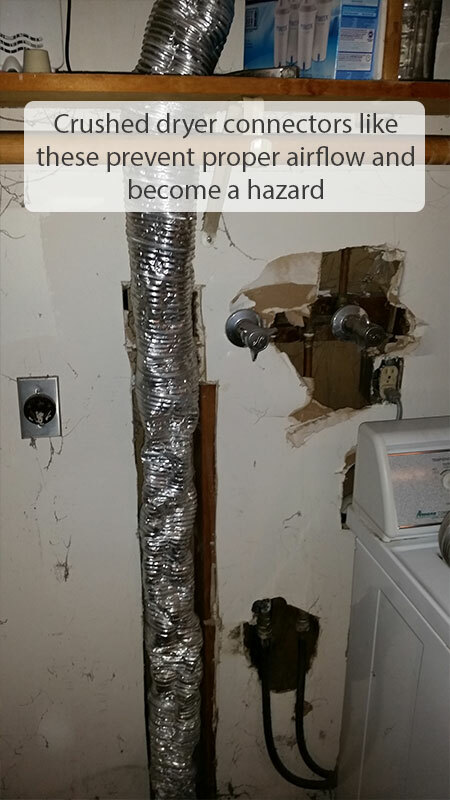 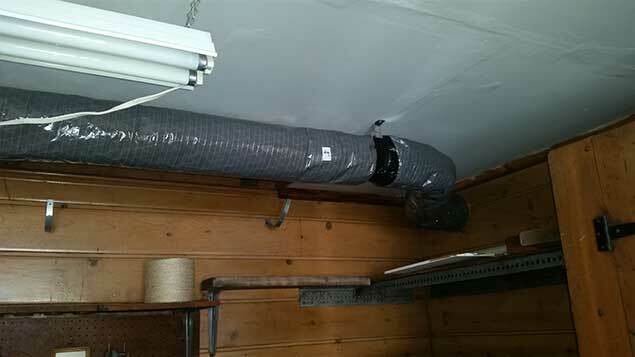 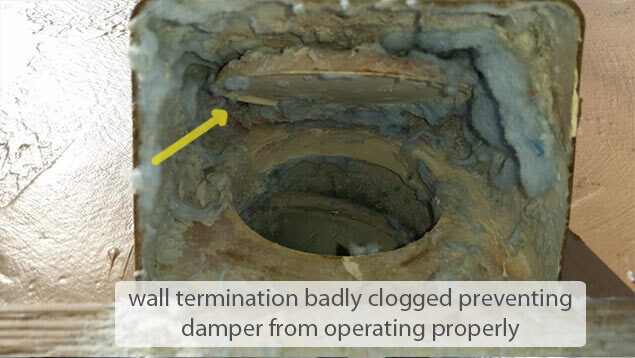 Dryer fires can occur within the actual appliance or within the duct pipe. 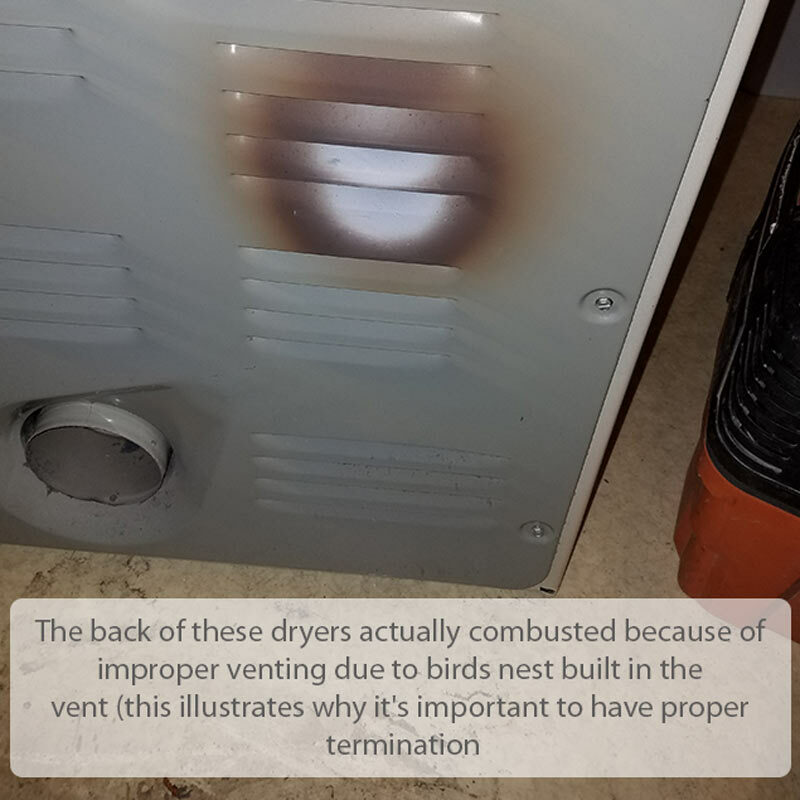 They can smolder for hours or be accelerated by the oxygen rich air that is provided by an operating dryer. 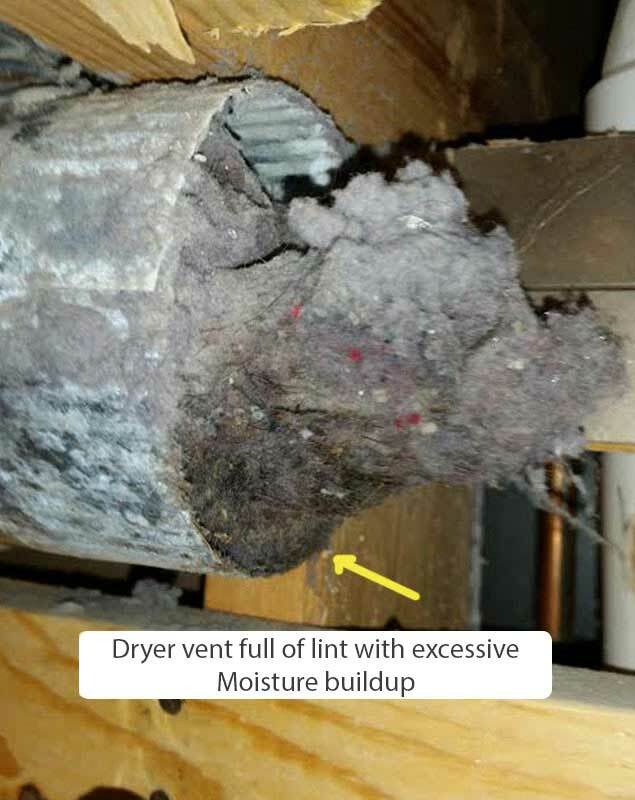 Lint blow-back into the appliance is the result and the ultimate ignition concern. 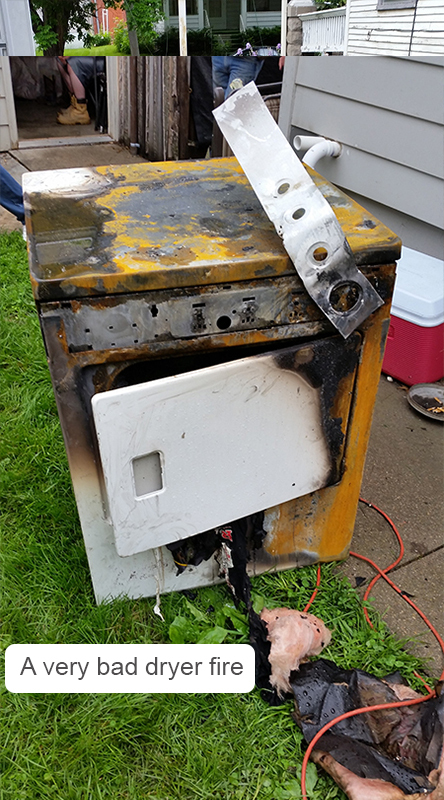 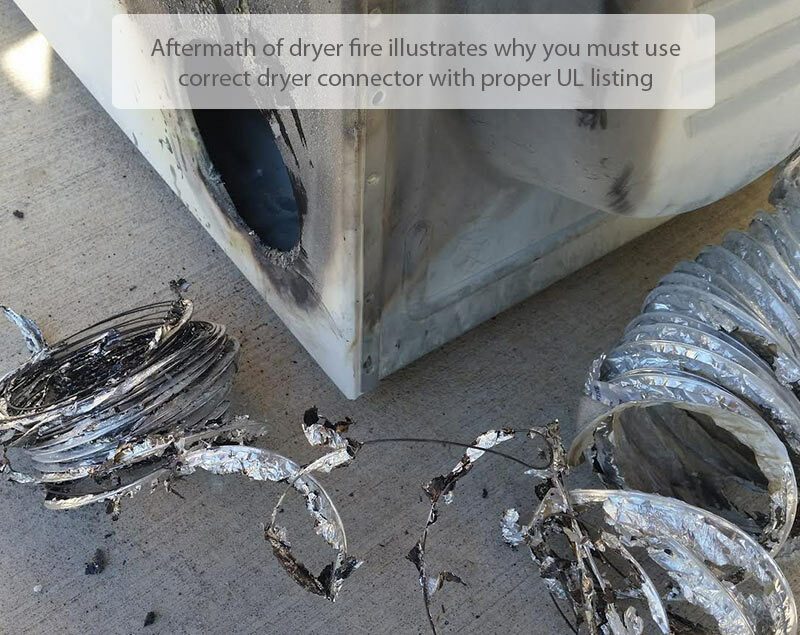 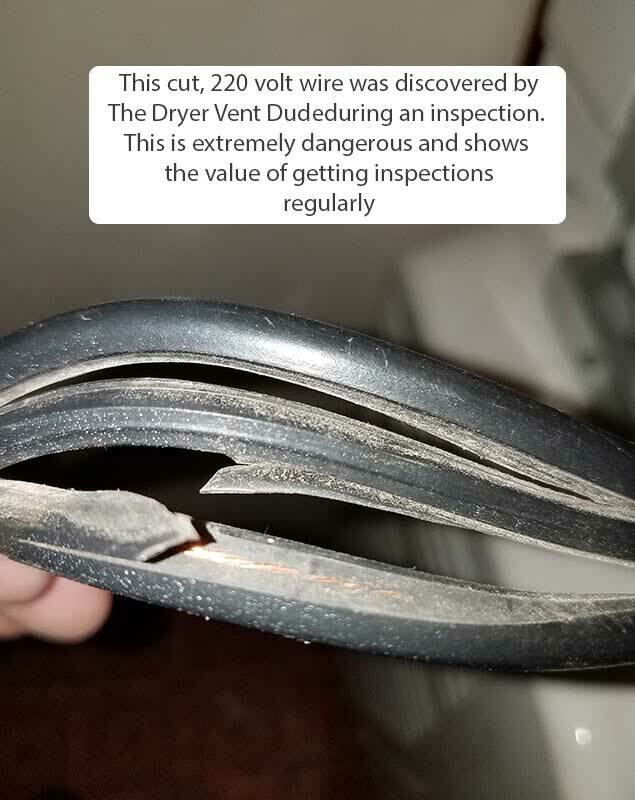 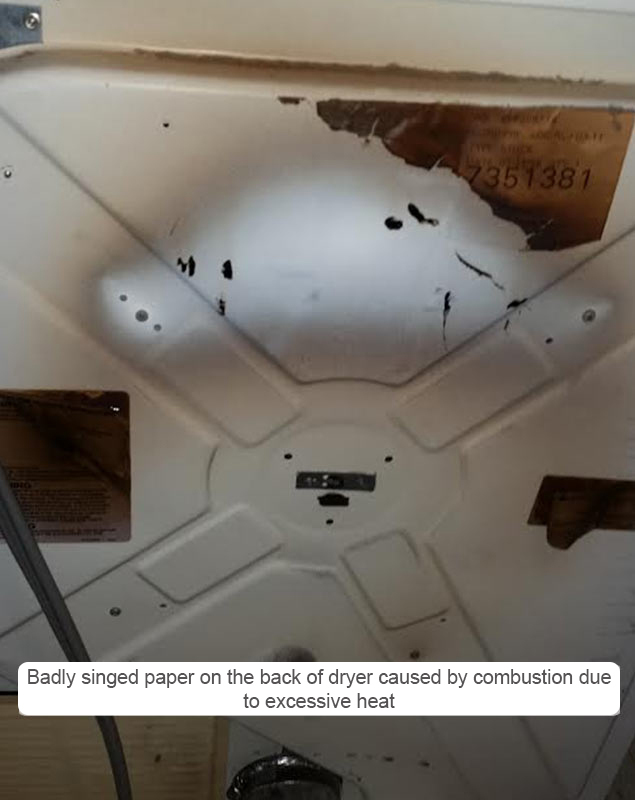 Use of improper connectors and clogged terminations are the #1 cause of dryer fires. 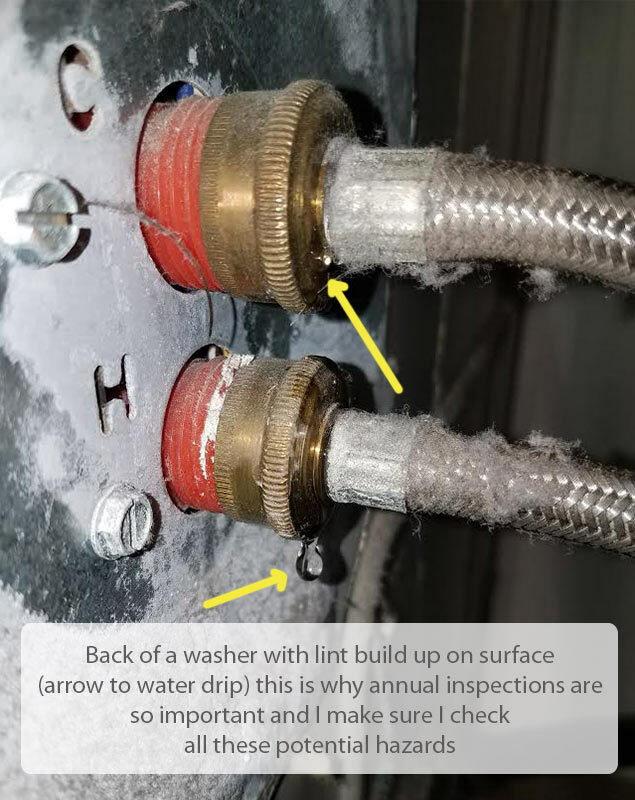 Inspections are extremely important because they not only ensure that your system is working efficiently but also reveal hazards that most clients didn't even realize were present which in-turn, prevents property damage and more importantly, loss of life. 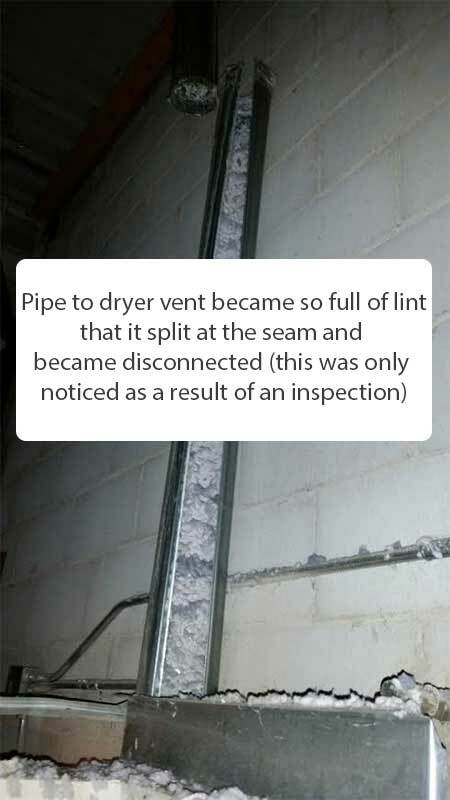 These inspections should performed annually at the very least if not more depending on usage. 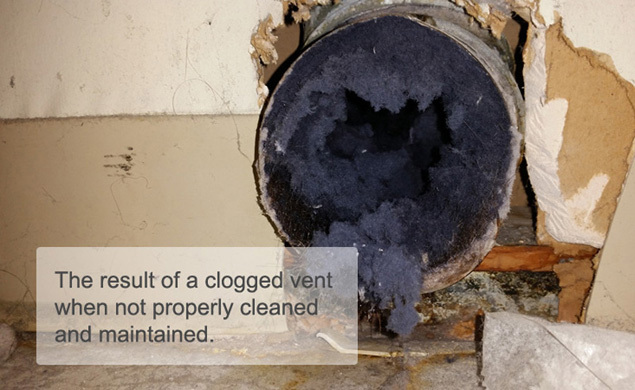 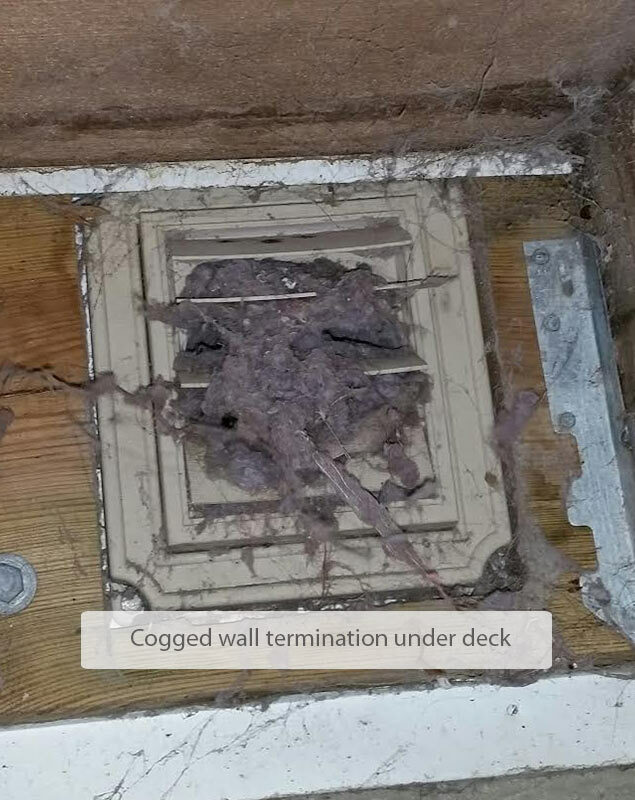 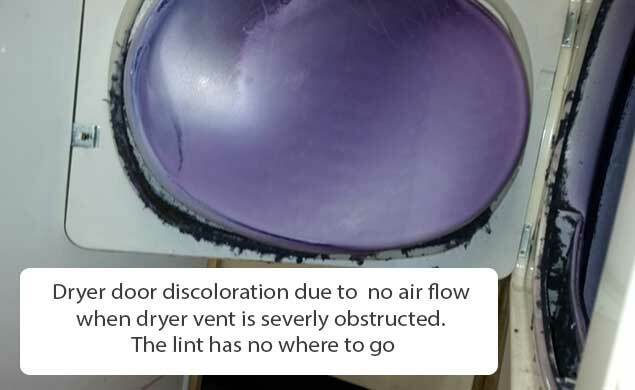 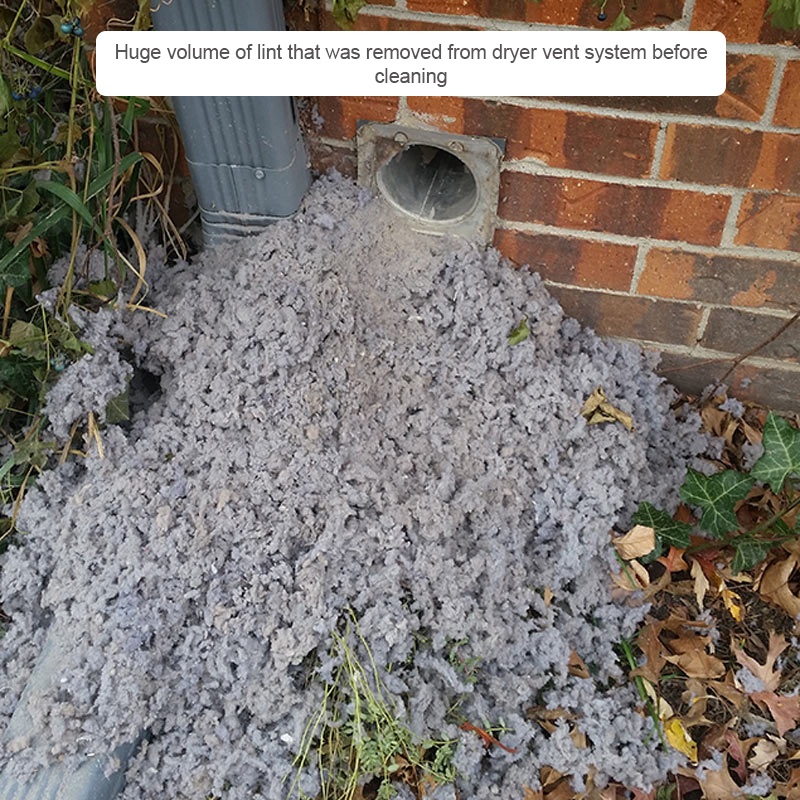 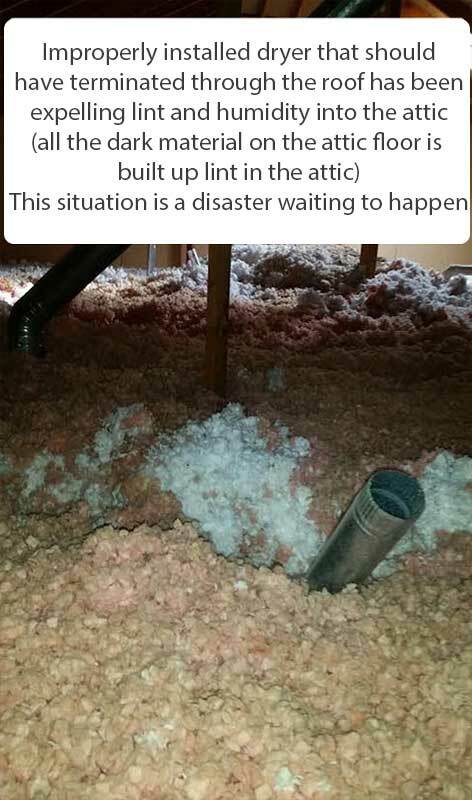 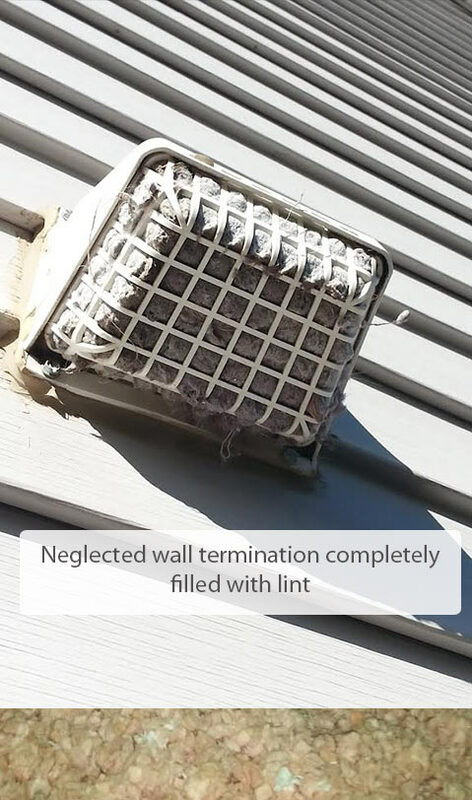 The buildup of lint in your dryer vent termination is very bad because it can totally restrict airflow causing more and more lint to accumulate in your dryer vent system. 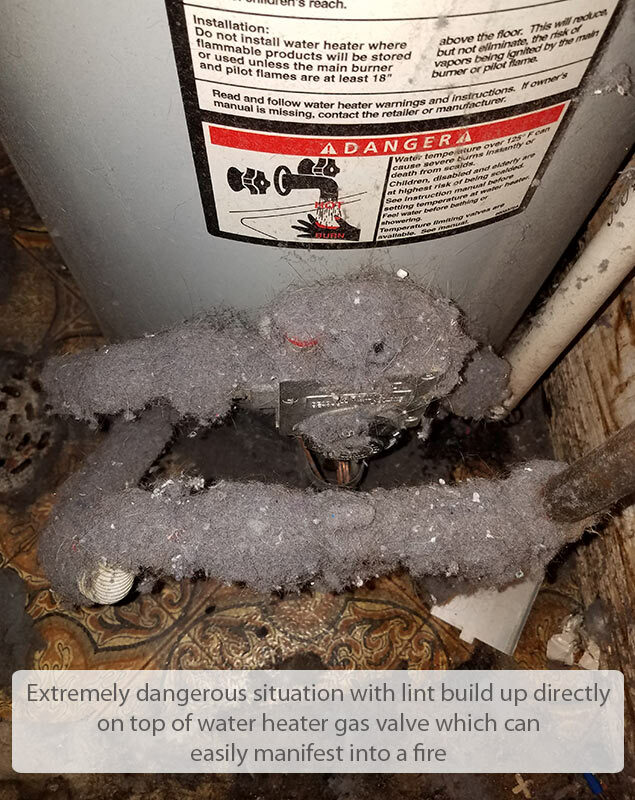 When there is so much lint, the dryer has to work much harder than it was made to work which leads to higher electric bills, need for dryer repair and the risk of fire. 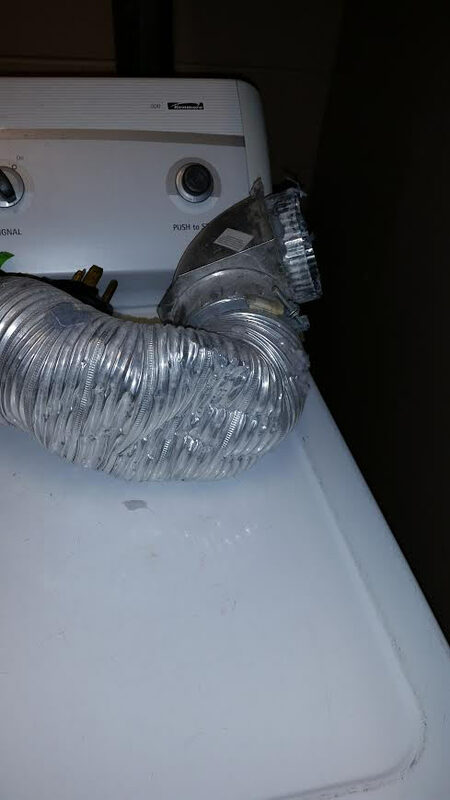 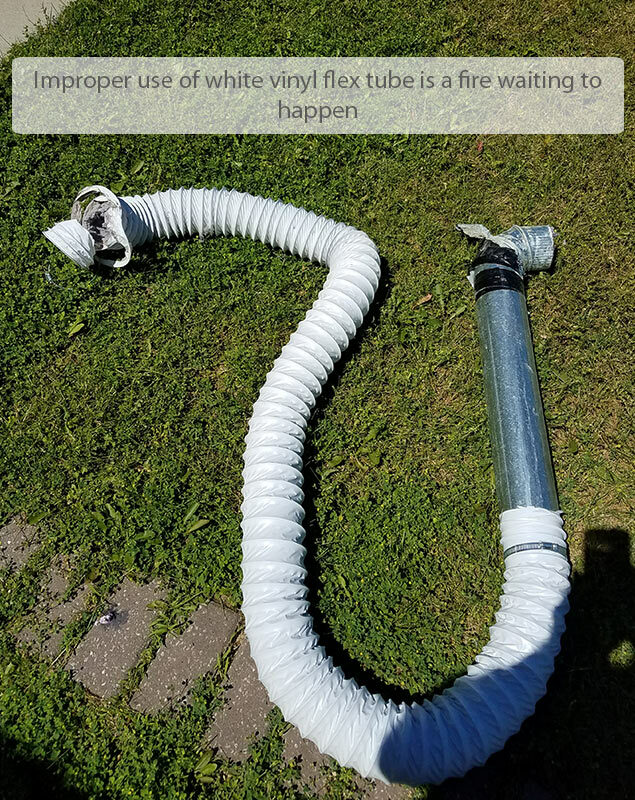 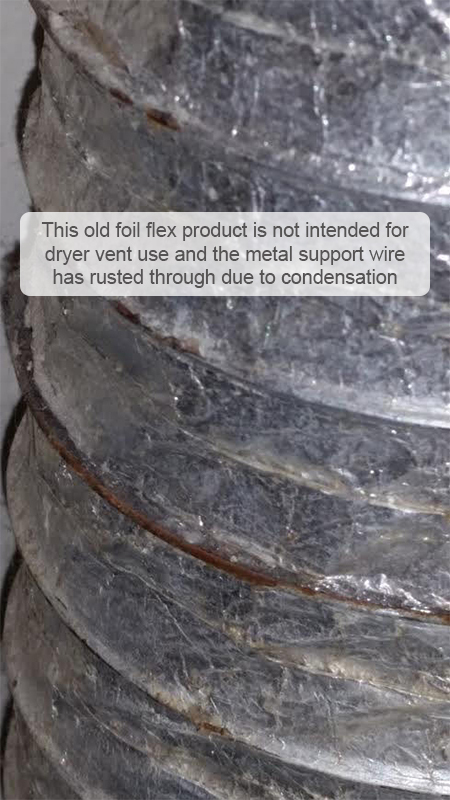 Foil vent hoses have dimples or ripples caused by the wire ring spiraling through the material that it supports throughout the length of the hose that causes excessive lint buildup which is a major fire hazard. 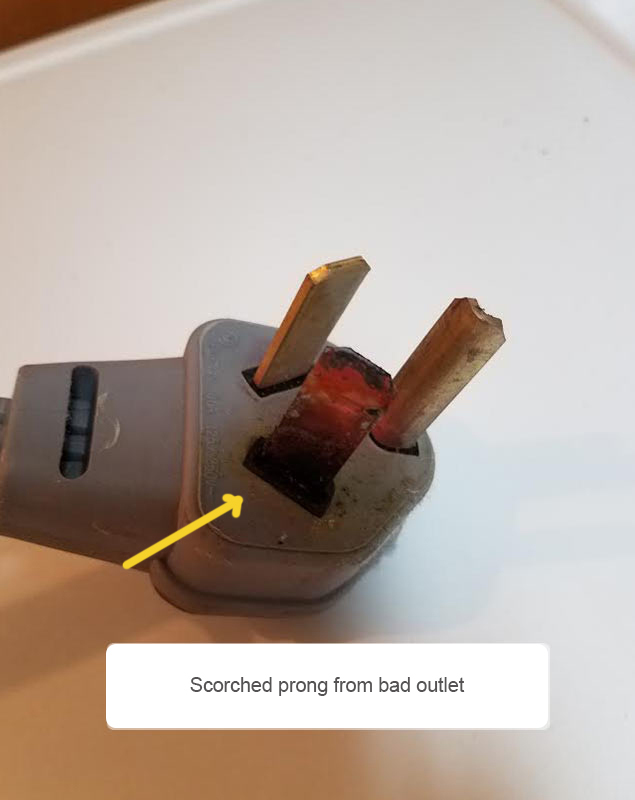 Even proper UL listed connectors incorrectly installed pose a serious threat when they are too long, crimped or crushed reducing airflow. 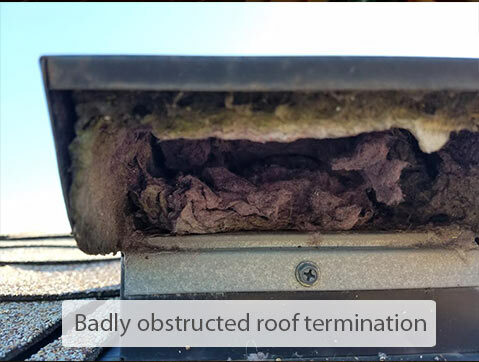 These photos show the difference before and after proper cleaning. 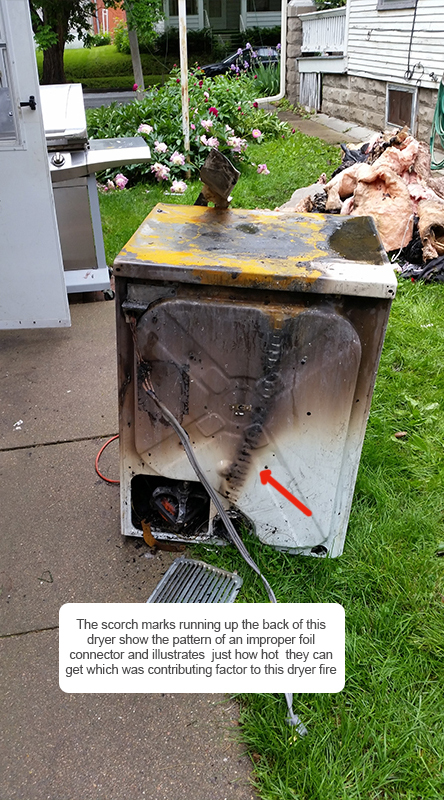 These photos illustrate why it's important to have your dryer imspected.